PRESIDENT Jacob Zuma has praised opposition MPs who “engaged with the issues” during debate on the Presidency’s budget vote, but took a swipe at Cope leader Mosiuoa Lekota for a “noisy” contribution that was “sound and fury, signifying nothing”. Replying to points raised during Wednesday’s raucous proceedings, when his leadership was described as a failure, Zuma focused, in a measured speech, on the need for people not to lose sight of the fact that the country’s painful past had left deep scars that still showed. Zuma noted that he was speaking on the anniversary of the formation of the Union of SA, when the exclusion of the black majority was formalised. “It is important to remember such landmarks in our history, lest we join the school of thought that preaches that reconciliation means everything that happened before 1994 must be forgotten and not provide lessons for what we do today,” Zuma said. Deputy Speaker Nomaindia Mfeketo had been expected to rule on Lekota’s accusation that Zuma had violated his oath of office, but did not, possibly to avoid further point-scoring off the back of the furore sparked by the controversial artwork The Spear. Lekota had infuriated ANC MPs by saying Zuma had allowed the rights to freedom of expression of the artist, Brett Murray, gallery director Liza Essers and City Press editor Ferial Haffajee to be trampled underfoot, when the constitution enjoined him as head of state to uphold and defend them. While ANC chief whip Mathole Motshekga accused Lekota of cheap politicking and of treating Parliament like a “shebeen”, Zuma used his reply yesterday to stress the importance of South Africans sharing their different experiences to better understand each other. Noting that the effects of three centuries of colonial oppression and apartheid could not be dealt with adequately in less than two short decades of democracy, Zuma said he hoped the July summit he had announced on Wednesday would be helpful. “I trust the social cohesion and nation-building summit in July will give us all the opportunity to turn our backs on denial and confront this painful history, with a view to finding final closure and healing. Our people have suffered enough indignity,” he said. Zuma reaffirmed his commitment to defending all the rights in the constitution, including the right to freedom of expression and to human dignity, but said: “No right is superior to other rights. “In similar vein, we must disabuse ourselves of the notion that certain rights are more important to certain sections of South African society than others. 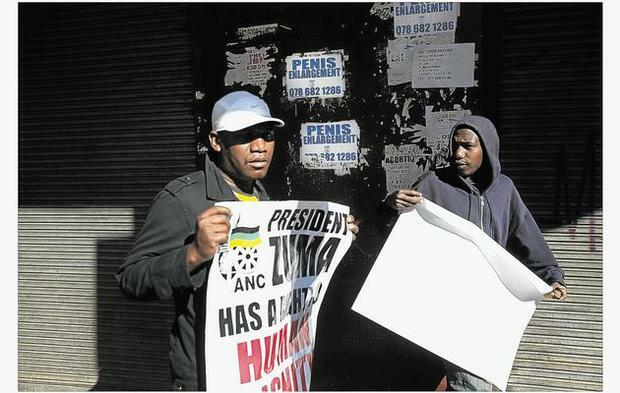 Freedom of expression is as important and as understood in Constantia as it is in Gugulethu. All political leaders had the responsibility to “live, uphold and defend the constitution, regardless of narrow political goals”. But “no right is so important that it can be used to undermine others with impunity”. Zuma reminded MPs that “while our Struggle was… against racism, it was never a racist struggle”. Nelson Mandela, in the dock and facing a possible death sentence, had said the ANC would not, when it triumphed in its 50 years of fighting against racism, change that policy. “Indeed, it has not, and will not,” Zuma said. “I am saying this because when we speak as I do, it must not be misread… (as if) we are provoking emotions wrongly. The triple challenge of poverty, unemployment and inequality had grown out of the economic patterns of colonialism and apartheid, Zuma said. While the government had done well, it still had some way to go “before Qumbu can look like Rosebank”. “But we are determined to get there,” he said. Zuma said a special guest of his from Alice in the Eastern Cape had been traumatised by MPs’ conduct on Wednesday. Mazibuko repeated her call that he drop his bid for a second term.